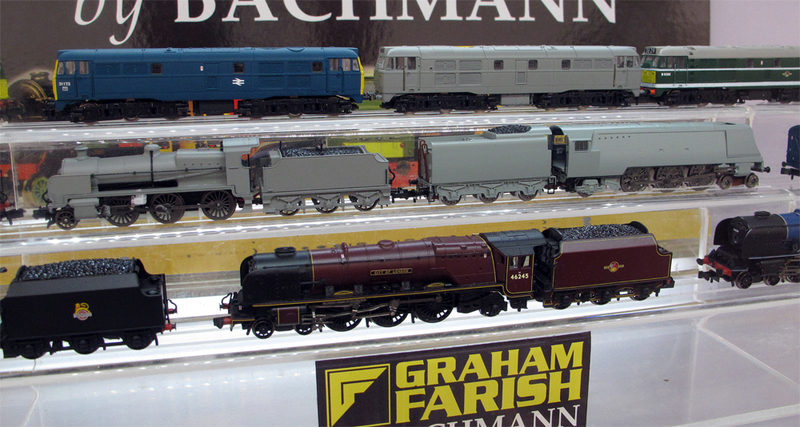 Further to the earlier announcement of new items to added to the both the Bachmann ’00’ and Graham Farish ‘N’ ranges I can also now update on the status of the work in progress on previously announced items. To a certain extent it is the shear amount of work still in progress that has dictated the size of the announcement of new items yesterday as a certain amount of catching up is required. The ex SECR Birdcage rolling stock announced in March 2013 is in the drawing office, with CADS being preparded before tooling can commence, along with the following items: BR Auto Trailer, Mark 2F coaches (including DBSO), Wickham Trolley (Type 27) and the 20T tank wagon. Within the tool room is the Class 43 Warship and the 21T grain wagon, whilst Engineering Prototypes of the SR PLV/PMV/CCT utility vans have been received but unfortunately these were not shown to us today. The E4 hand painted sample to give an impression of what is to come. The ex LBSC E4 is now at the livery artwork stage (although some hand painted mocks have been completed but are just mocks and incorrect in some areas. Other items at this artwork stage include: GWR 64xx 0-60T, GWR Hall Class 4-6-0 and GWR Modified Hall Class 4-6-0. 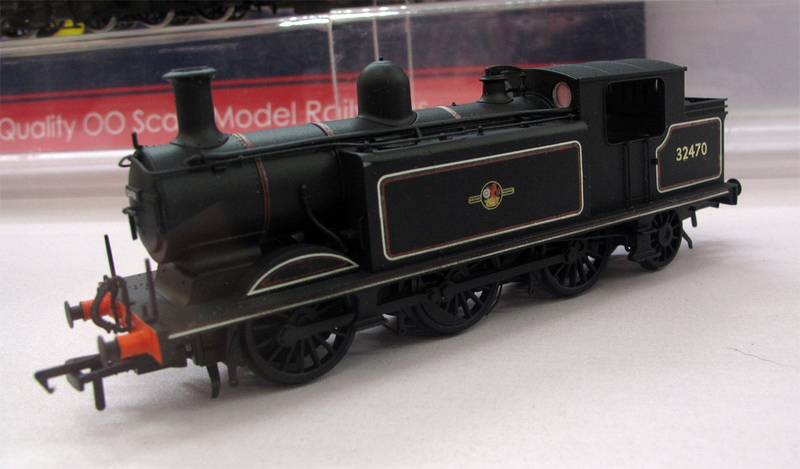 The delightful Midland 1F 0-6-0T is now in production and the ex LMS inspection saloon should be in the shops soon. The SR PLV 4-wheel van is still with the development team before entering the drawing office, along with the following: GWR Castle Class 4-6-0, BR Mark 2F coaches and the GWR Auto Trailer. The SR Bogie B luggage van along with the GWR Hawksworth coaches have progressed to the tool room whilst the BR Standard 4MT (80xxx) 2-6-4T and GWR 64xx are still in the drawing office. The Graham Farish N Class and 3rd series Merchant Navy now moving to livery artwork stage. Engineering Prototype samples have been received for the SR Ventilated vans whilst the SR N Class 2-6-0 and SR Merchant Navy Class 4-6-2 are now at the artwork preparation stage along with the Class 47/7 and Class 31. The BR Mk1 CCT is at the livery sample stage along with the Class 57 (Dellner coupling version), LMS (Ex-MR) 4F 0-6-0 and Polybulk bogie hopper. The following items have been approved for production: LNER A2 Class 4-6-2, 20T Midland Brake Van, COVHOP and LMS Princess Coronation Class 4-6-2. On their way to the shops soon are the Class 25 and Class 37/4. As can be seen this is a fair amount of work in progress and there is still a further locomotive announcement being made on Tuesday 29th in conjunction with the National Railway Museum. These announcements of new items is in effect an short term announcement before going back to the usual timing of March for the next new product announcements in 2015.